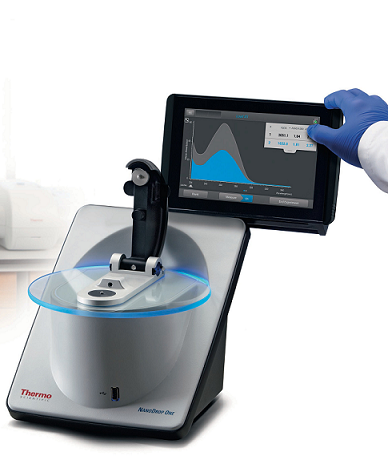 Quantify and qualify DNA, RNA, and protein samples with only 1-2 µL and have full-spectral data in seconds using the NanoDrop™ One Microvolume UV-Vis spectrophotometer. Call 6316-7490 for a demo today! 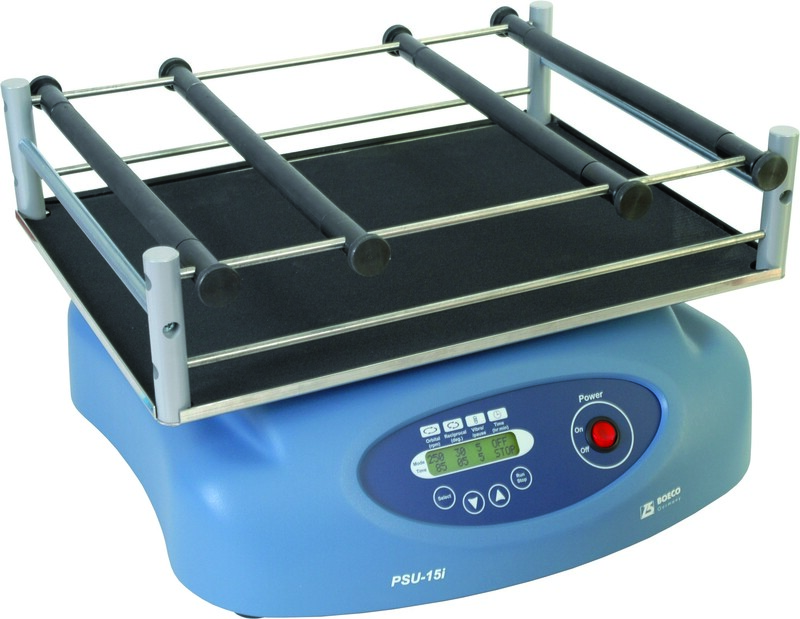 Available with both pedestal and cuvette positions to expand experimental flexibility and increase the dynamic range. 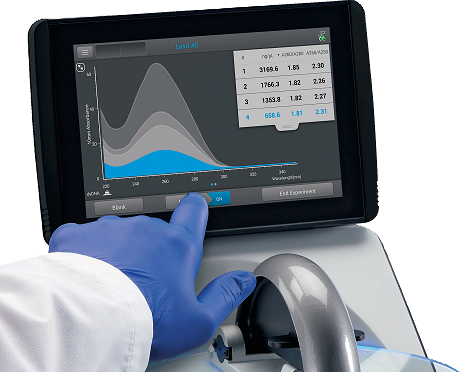 Measure dilute samples, perform kinetics experiments and take optical density measurements of bacterial cultures. 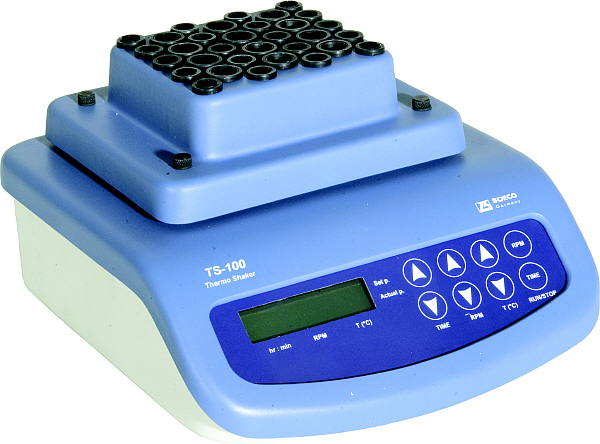 Cuvette position includes temperature control and stirring. Ergonomic, standalone design — integrated Android™ tablet eliminates the need for a separate computer and provides modern connectivity for seamless data transfer via Wireless*, Ethernet or USB. 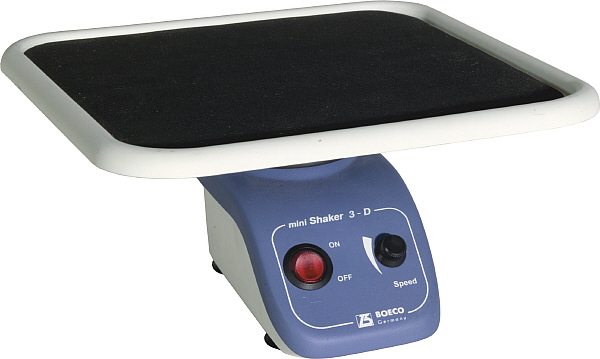 Auto-Measure and Auto-Blank functions — multi-sample processing can be streamlined with instant measurements that occur when the pedestal arm is down. These functions can be turned ON or OFF with a single tap on the screen. 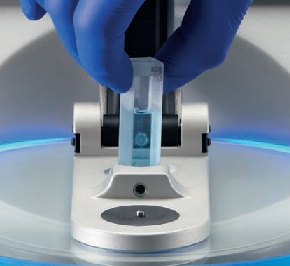 Wider dynamic range — no dilutions required for highly concentrated samples (dsDNA at 27,500 ug/µL) with auto-range pathlength technology. Integrated Learning Center — an archive of answers with technical support documents and educational animations at your fingertips. For research use only. Not for diagnostic purposes. 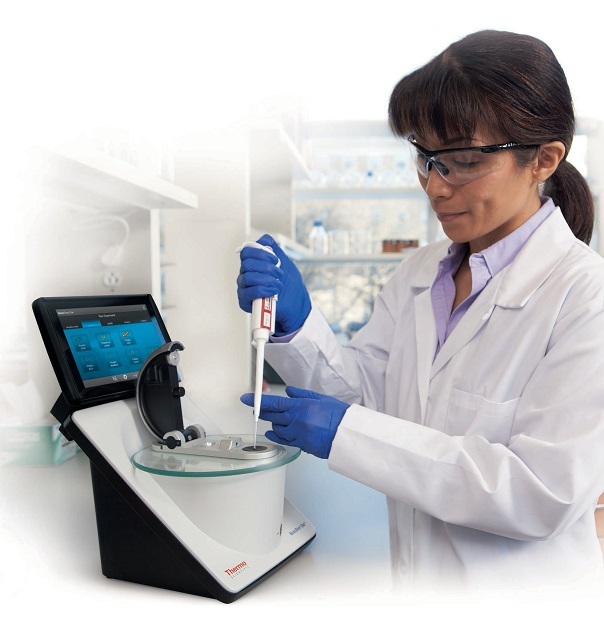 All NanoDrop instruments are approved to CE and UL/CSA.